Sports bettors around the world rejoice this weekend! Not only is the NFL back in action with a slate of five games on Friday, four on Saturday and a single contest Sunday night, the English Premier League is also back to the delight of both handicappers and punters. Saturday’s NFL Card features several interesting matchups, among them Indianapolis Colts @ Buffalo Bills and Seattle Seahawks @ Kansas City Chiefs. 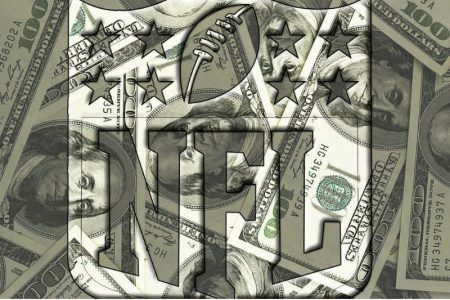 If you can’t wait that long feel free to take a look at Friday’s NFL Card where our football experts have both premium picks and free picks loaded up for you to take advantage of. Check out the results of last year’s Top 5 NFL Handicapper on this site. If you prefer the European variant of football there is no better weekend than this, and you can find Premium Soccer Picks from some of the leading experts in the world right here. Arsenal will host Liverpool home at the Emirates on Sunday in the blockbuster matchup of the first round of games. Even though NFL and Premier League is back, MLB will surely remain the biggest cash cow for you with daily action. TJ Pemberton remains the best MLB handicapper in the world, and it’s not too late to join with a subscription as there’s still plenty of money to be made at the ballpark.